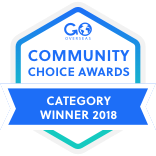 See everything that’s included here. See full course descriptions here. MEI’s International Business program may begin in a boardroom, but it thrives on the streets of the great financial centres of the world. Fast-paced and filled with the energy of real estate acquisition, business development, and investment, this program takes you to some of the essential business epicentres on the globe: New York City, London, Paris, Hong Kong, and Beijing. Apply to this program and discover if you have what it takes to make it in the risk-and-reward world of intense trade-offs. Independence. Self-confidence. Mental toughness. Determination. These are the qualities our three children came back with after MEI. They will tell you it was the best high school academic experience that they have had and they would highly recommend it to anyone. MEI was about being held accountable to their high academic standards while getting the support and push from the competent teaching staff. It was about learning the value of hard work, moving out of their comfort zones, forging new friendships, and working together. They are mentally stronger and better equipped to take on whatever life throws their way. If you’re looking for an enhanced education for your child, we highly recommend MEI Academy. Read about each itinerary location by tapping the icon. 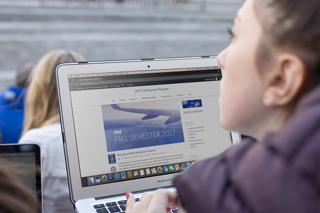 To ease into the program, students have access to the course website where reading lists are posted. Course preparation is spread out over three weeks: our first two-week preparation session begins in early May, focusing on novel studies; the second one-week session starts in late June, focusing on completing research and small assignments. These online sessions are designed to connect students with their teachers and classmates, to help complete short tasks, and to alleviate the workload during the summer. Students are required to complete all foundation work before leaving to ensure they are ready to hit the ground running while overseas. Before they travel abroad, students commence their high school credit coursework in the heart of Toronto’s financial district. Workshops with top professionals in the fields of finance, trade and marketing introduce students to the dynamic culture of international business and prepare them for work experience to come. 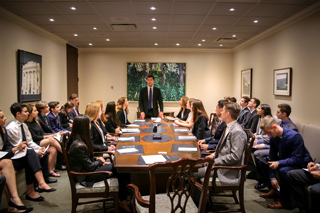 They learn firsthand what it takes to build a successful organization as they shake hands with some of Bay Street’s most influential players, and begin to formulate their own business plans. From Toronto, students travel to New York City and hit the streets of Manhattan. Here, we experience the scale and influence of ‘Big Business’ at the New York Stock Exchange, and the storied world of Wall Street. The city acts as both a backdrop and a case study itself, as lectures focus on real estate, international trade, and the effects of financial markets. Students compete in their first of four high stakes pitch competitions on Fifth Avenue before they kick back in Central Park and record a live podcast. 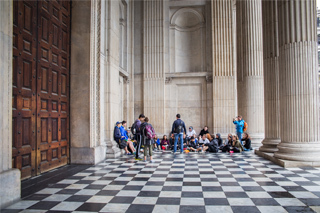 In London, students learn about the impact of ‘old money’ in Western culture at the Royal Exchange, the Bank of England and Westminster Abbey. Students conduct small business case studies in Camden Market, deliver rants at Speaker’s Corner in Hyde Park, and watch Shakespeare performed live in its first home at the Globe Theatre, before crossing the English Channel to Paris. When students arrive in Paris, the pace slows down as our focus shifts to the art of communication and the effects of smart branding. We also take a closer look at how custom has an impact on international trade and commerce. Beauty and grandeur are what Paris, the ‘City of Light,’ is known for all over the world. 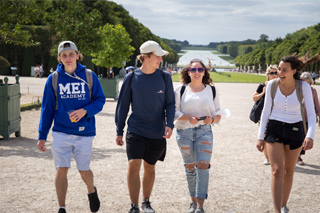 In a close study of the history of its culture, students visit the infamous Château de Versailles to explore the role of decadence and luxury in the marketplace. 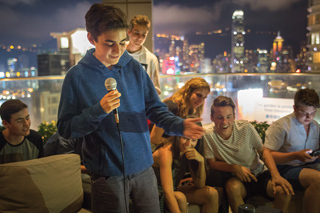 From Paris, students fly to Hong Kong where East truly meets West. Both British and Chinese customs have combined to build a global financial epicentre. Today, Hong Kong is a mix of old world charm and new world technology. Building on their practice pitches from New York, London, and Paris, the stakes are raised as once again students compete against each other, while refining their own business plans. Amidst this labyrinth of towers, we delve into the world of global commerce, navigating the streets of the lively Tsim Sha Tsui district. 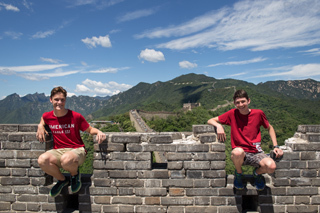 From Hong Kong, students fly to Beijing, the capital of communist China. In Beijing, our focus is on manufacturing and the business of importing and exporting goods from China. Students visit factory floors and markets to get a firsthand glimpse of the robust engine that drives the Chinese economy. To conclude our coursework, students present and defend both their Independent Study Units and business plans that they have refined over the course of the program. Students are also able to debrief with their teachers their written work, and prepare for their final exams. Our final day is spent exploring the Summer Palace and enjoying an Awards Ceremony dinner to conclude the summer’s journey. *Based on air fares, land tariffs and currency exchange rates as of February, 2018. Please note the possibility of increases in airfares and land costs prior to departure. Any increase must be borne by the individual participant. *All students travelling with MEI Academy are required to purchase Medical Insurance. 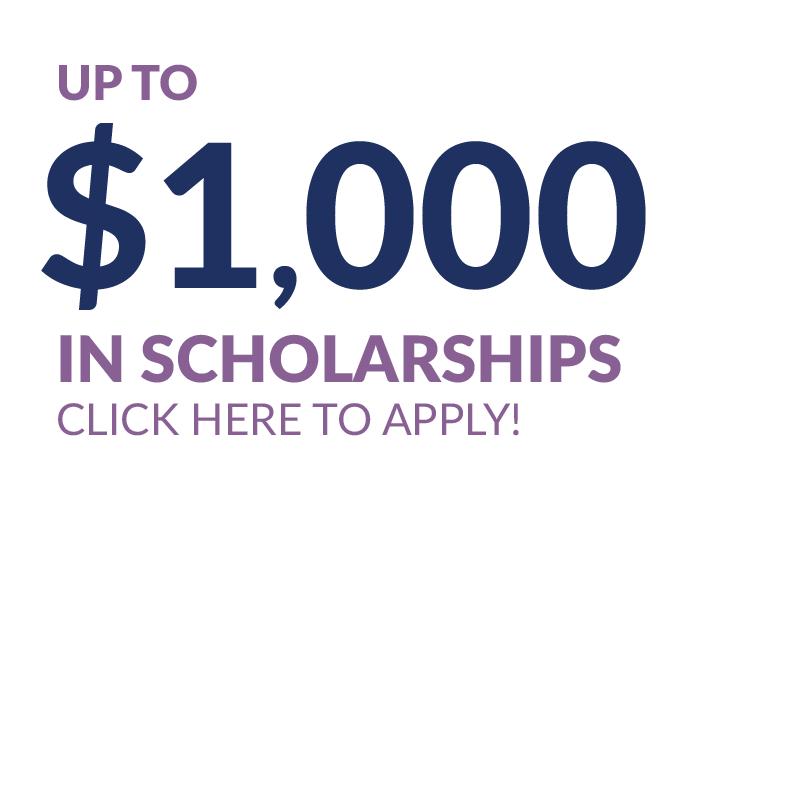 You could earn up to $1,000 in Scholarships! Save on this Summer Program! Visit our Scholarship page to apply now.